Illustration of black hole as a highly warped region of two-dimensional "space." The real black hole is a highly warped region of four-dimensional spacetime. A friend of mine on Twitter, Aaron (a pseudonym), is an overseas, 16-year old boy, who seriously admires Albert Einstein and wants to become a physicist. He continually writes me (Ted, also a pseudonym) questions about the theory of relativity and related topics, and I am sending answers. In this series of blog posts, those questions and answers are reproduced with modifications. I am not an expert in the fields of physics related to relativity. So, my answers might contain errors. If you find any error, please do not hesitate to write a comment for the benefit of the boy and me as well as that of other readers. Aaron: It is said that there are many black holes in our galaxy, right? Nobody can see them. Then, how do they know that there are black holes? I guess there is no equation to show that there is a black hole out there. Ted: You are right. Neither there is an equation to predict the positions of black holes,* nor we can directly observe them. However, astronomers say that the center of our Milky Way Galaxy is dominated by one supermassive black hole and that observations have hinted at the existence of many stellar mass black holes (stellar black holes) near the galactic center (Ref. 1). The evidence for the existence of black holes is obtained by indirect observations. Because of its invisible interior, the presence of them can be inferred through their interaction with other matter. For example, there is a phenomenon called accretion of matter. In this phenomenon, gas falling into a black hole emits vast amounts of radiation (mainly X-rays), which may be detected by telescopes. Astronomers have also identified numerous stellar black hole candidates in binary star systems, by studying their interaction with their companion stars. For more details about observation of black holes, you can see Refs. 2 and 3. * As for the possible existence of black holes, Einstein's equations of general relativity helped later theorists to find such possibilities. However, those equations were solved under different simplifying assumptions by different theorists. So, the solutions thus obtained did not necessarily give a firm proof of the existence of the black hole. R. R. Britt, "Milky Way's center packed with black holes." Space.com (2005). "Section 4. 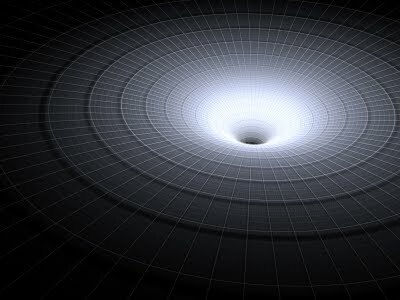 Observational Evidence" in "Black hole", Wikipedia, the free encyclopedia (12 December 2011 at 05:45). T. Bunn, "Is there any evidence that black holes exist?" in Black Holes FAQ (Frequently Asked Questions) List (1995).